Rocks are inorganic solid substances which are grouped into igneous rocks, metamorphic rocks, sedimentary rocks and meteorites. They are grain of minerals which are homogeneous solids formed from a chemical precipitation. There are more than 200 different minerals but only twelve are common all over the world. These twelve minerals are called the rock formers. Before moving on to the discussion on the formation of the Geodes, firstly know that –What is Rock Cycle? 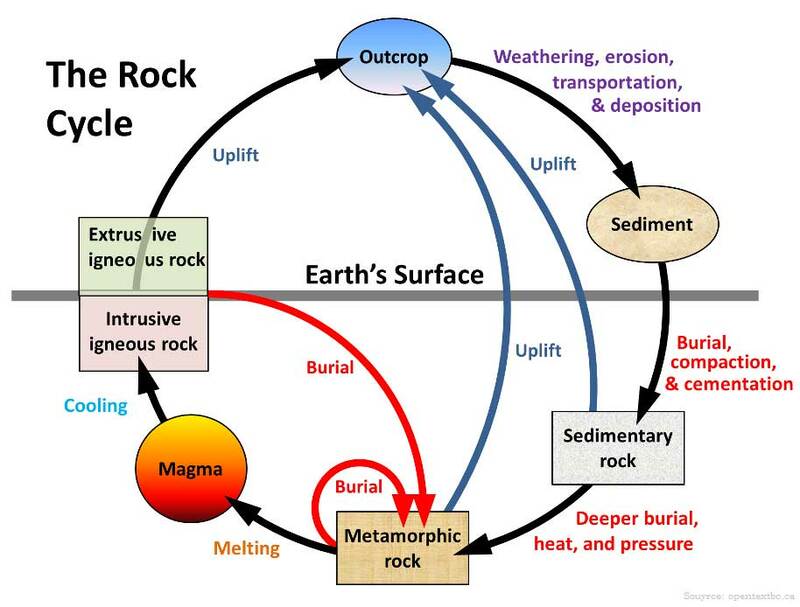 The Rock Cycle can be defined as the process of transformation of rocks between the three rock types igneous, sedimentary and metamorphic. There are numerous factors for the rock cycles such as Plate tectonics, spreading ridge, subduction zones, continental collision and accelerated erosion. These factors depend on temperature, pressure, time, and changes in environmental conditions in the Earth’s crust and on its surface. Geodes are considered as the secondary structures which are formed due to the eruption of magma from volcanic mountains. According to the Geologist, the Geodes are originated from the sedimentary rocks which are formed due to the chemical precipitation. Some Geologist opines that it was formed by the bubbles in the volcanic rocks. From cooling to solidification of the rocks, the minerals pass gradually or leak into hollow area and harden into outer shell. The most accepted theory is- They are form of either the filling of gas bubbles in volcanic to sub-volcanic rocks by minerals deposited from hydrothermal fluids, or by the post - depositional dissolution of sedimentary nodules or concretions and partial filling by the same or other minerals precipitated from diagenetic or hydrothermal fluids. As we know that the geodes are formed by the bubbles of volcanic rocks which are basically rounded cavities of sedimentary formations. Therefore, it is characterized by a milky or greyish translucent to transparent shell that is internally lined with crystals, pyrite, sphalerite, barite, dolomite, and quartz among other minerals. The Quartz is the most common mineral which is found in the geodes. 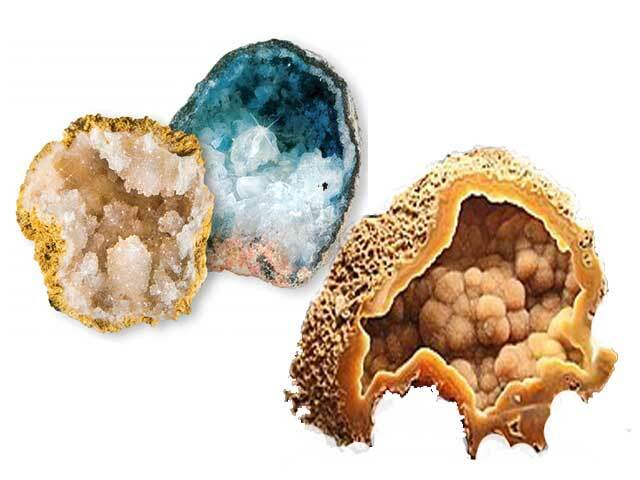 According to the mineralogy, Geode is a hollow rock or nodule with the cavity usually lined with crystals which is originated from the sedimentary rocks. These crystal cavities are filled with fluid during the various stages of precipitation. Therefore, we can say that the different colours perceived in this rock result from the changes in chemistry experienced during the formation of the rock. They are found everywhere in the world, but very common in the desert areas, volcanic ash beds, or areas with plentiful limestone. The highly concentrated regions of the geodes are USA (California, Arizona, New Mexico, Utah, Nevada, Iowa, Missouri, Illinois, Indiana, Kentucky, and Ohio), Brazil, Namibia, Mexico and England. In England, it is popularly known as “Potato Stone”. What is Chernozem? | What are Crepuscular Rays?